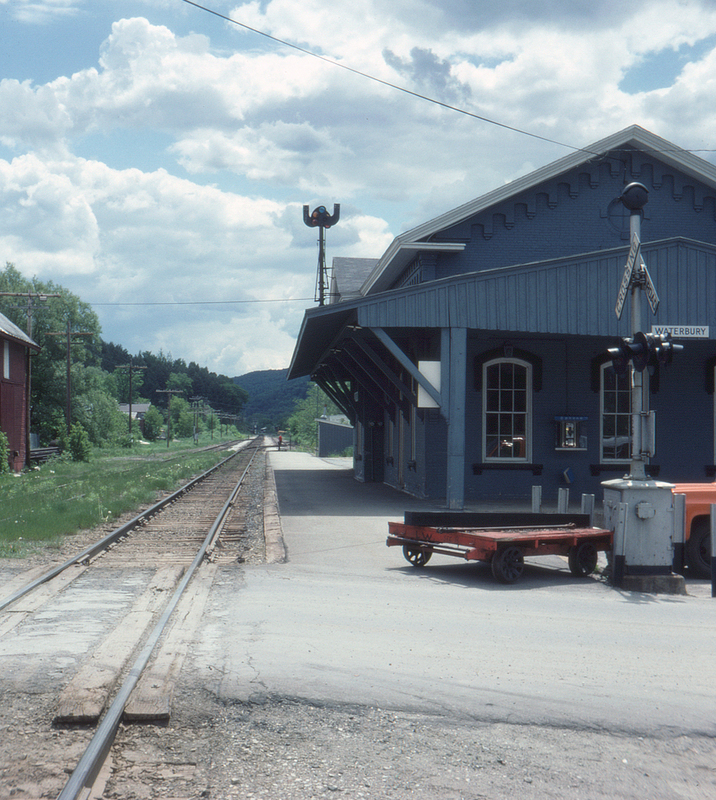 Here at Waterbury, Vermont is a station whose architecture just oozes New England spirit. The classic curved blade train order signal is also a treat. This view is looking southeast from the Park Row grade crossing.